That is a brilliant formula for communication success, whether it’s with young hotshot NBA players or your own team members. 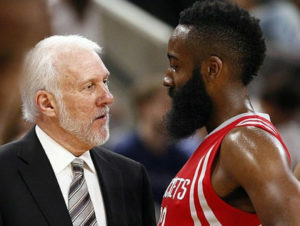 There are many lessons from sports that help business people motivate and build teamwork. Our The Sport of Business series with Carol Keers and Mike Max, (seasoned CBS TV and radio broadcaster) provide entertaining and meaningful insight videos. A sample is available. 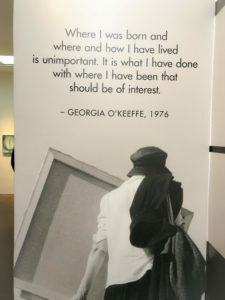 Georgia O’Keeffe was born in Wisconsin and became one of the best paid female artists of all time. Alfred Stieglitz had galleries in New York City that displayed O’Keeffe’s work. Stieglitz was stunned by her work, and by her. They had a long-term romantic relationship. O’Keeffe was the subject of much press attention, which she tried to avoid. A consistent theme of her responses was that our history does not define us … what we have done and our future is what is important. The photo is displayed in the Georgia O’Keeffe Museum in Santa Fe New Mexico. Executives need to digest enormous amounts of information every day. 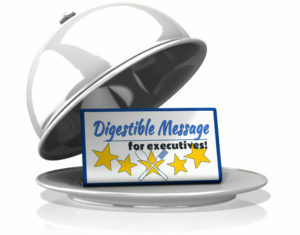 If you want your message to be understood, you need to make the information digestible for those at the upper levels. Success in school can be a burden in one’s career. Those who have been the smartest one in the class often develop subconscious beliefs that undermine them in the middle of their careers. They continue to believe that the right answer is key to being number one, and that there is one smart answer that is endorsed by the teacher-authority. They expect to be in the front of the line when rewards and accolades are delivered. 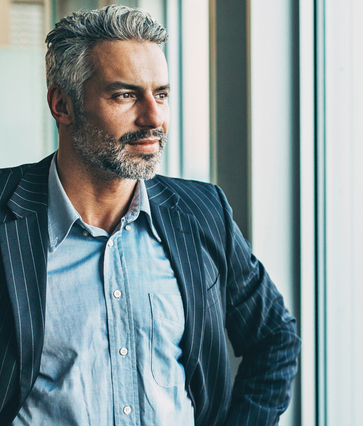 Often the first decade of their work-life has had enough similarities to lull them into thinking those rules will continue to work when they are forty years old. They don’t. Alice Boyes, author of “The Healthy Mind Toolkit”, lists five issues that cause smart people to struggle. Smart people sometimes devalue relationship building, and over-concentrate on intellect. Teamwork can be frustrating for very smart people. Smart people often attach a lot of their self-esteem to being smart. Smart people sometimes see in-depth thinking as the solution to every problem. The majority of our clients fit into this profile to some extent. We developed an Intelligent Impatient Person Profile (IIPP) to help our clients manage this pattern. The secret is that it only requires an adjustment about 20% of the time. The IIPP profile has also helped our clients who have to work with, or for, people who fit the IIPP profile. For a FREE copy of the IIPP profile and access to our new Change Masters Academy membership site, click HERE.